Clemens´ work is focusing on material practices in a representative manner looking on scientific processes and methods. He brings together experiences concerning new technologies, in particular on traditional, new and speculative material technologies. He is a research and teaching assistant at the University of the Arts, Zurich, where he works at Enactive Environments and runs courses on digital fabrication and computational materials in the Interaction Design Department. 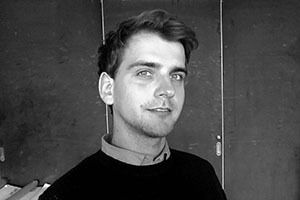 He holds a Master in Industrial Design (Halle/ Berlin, Germany) and Design Interactions (London, UK).